Probably one of the smallest food centres in Singapore – Dunman Food Centre at Joo Chiat is not a popular dining spot for many Singaporean with its limited stalls and measly amount of parking lots. However, it does offer some of the most notable wanton noodles around, eg. 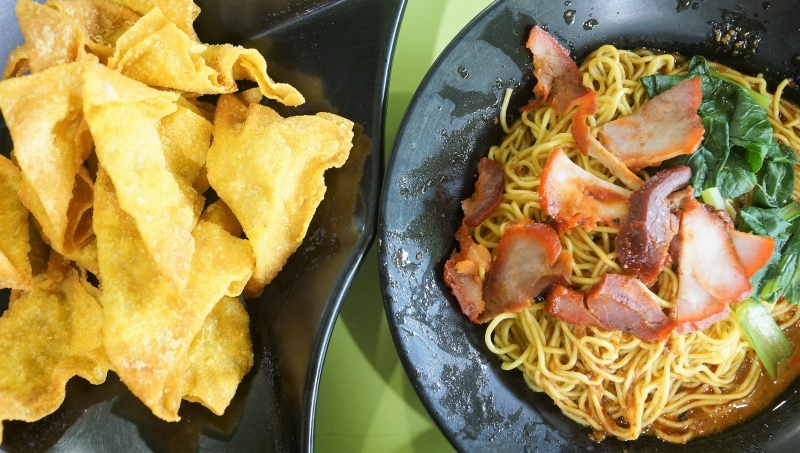 Eng’s Wanton Mee and Seng Wanton Mee. Dunman food centre may have lost several famous stalls in the past, but there have been decent substitutions to fill in the gap, eg. 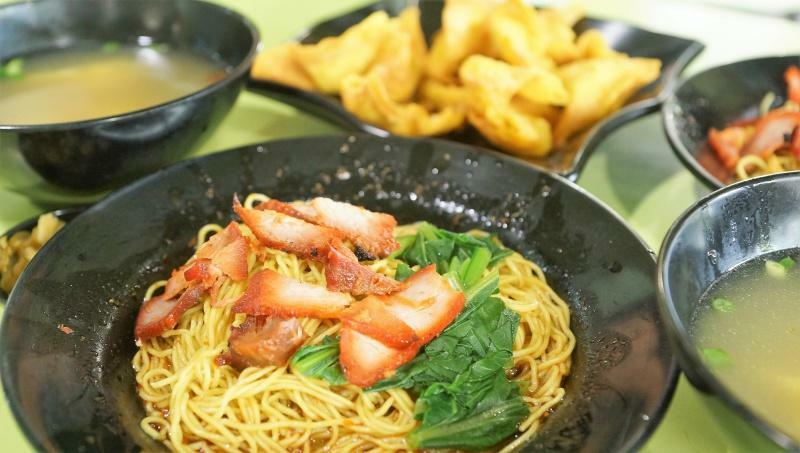 Joo Chiat Ah Huat Wanton Noodle and Dunman Road Char Siew Wanton Mee etc. 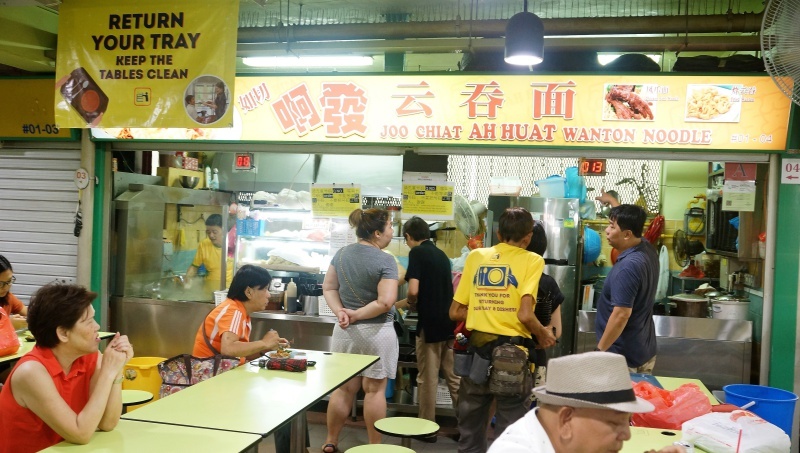 Joo Chiat Ah Huat Wanton Noodle should not be a foreign name for Wanton lovers; it was previously helmed by the famous Ang Moh Wanton Noodles, which has since made its root at the food centre after going into hibernation for years. Occupying two stalls side by side, ordering is fortunately, facilitated by an LED board, so customers can sit and have a cup of coffee while waiting. We ordered the wanton noodles and fried wanton for brunch. 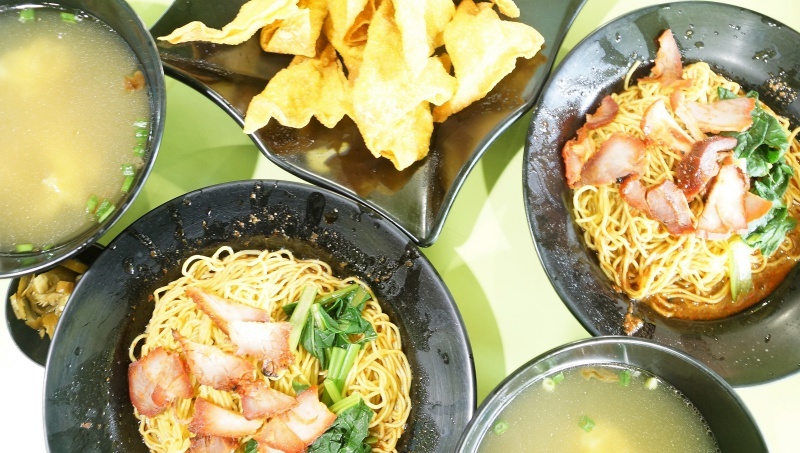 The plate of wanton mee was served with the standard- char siew, veggies, wanton and crispy lard croutons. The texture of the noodles was on the softer side, which was disappointing as we love our noodles springier. Char Siew was ordinary at best, but the wanton was good with its delectable fillings. The savoury chili sauce has a distinct saltiness compared to many other wanton stalls. The chili sauce was pretty mild and should be tolerable for most Singaporeans. The foundation of the whole dish, which is the sauce was sadly, not impressive. The bowl of soup was flavourful. The noodle and chili sauce might not have excited our taste buds much, but we do acknowledge that the crispy fried wantons were tantalizing with their fillings and crispy skin. 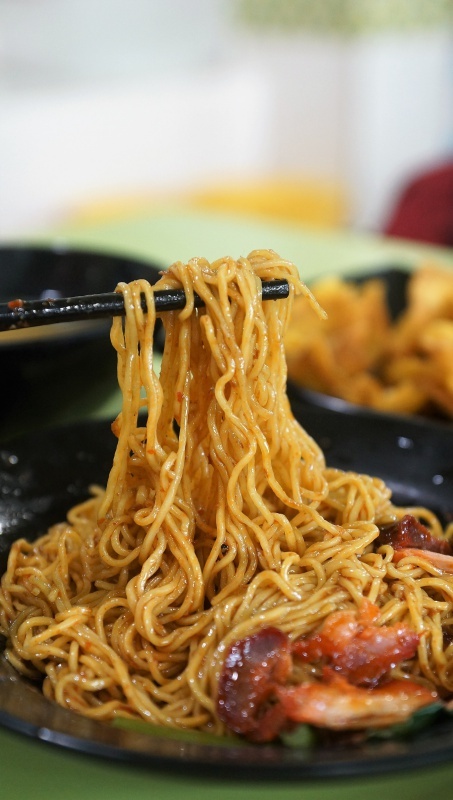 Joo Chiat Ah Huat Wanton Noodles’ savoury and mildly spicy sauce will continue to attract the group of loyal fans, That said, their noodles are not something that will keep you up at night, craving for it. Its mediocre taste was not convincing enough to warrant revisits from us.